Dr. Jenny C. McCloskey has three decades of experience in health care and effectively utilizes her knowledge to care for patients as a physician at Royal Perth Hospital. Specifically, Dr. McCloskey treats patients’ issues concerning their sexual health, including the human papilloma virus in the genital tract. Upon realizing her knack for caring for people, it became clear to Dr. McCloskey that a career as a doctor would be the perfect fit for her. She subsequently earned a Master of Public Health, followed by a Ph.D., from the University of Western Australia. Since entering the field, she has established herself as a relied-upon doctor, lecturer, teacher and researcher of sexual health. Dr. McCloskey has traveled throughout Western Australia, lecturing and teaching health professionals, community groups, and aboriginal communities. She keeps current with the industry’s trends through her affiliations with the Australian Medical Association and ASHM. 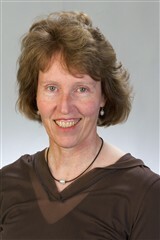 Notably, she is also an Elected Fellow of the Royal College of Physicians. Previous Previous post: Mark A. Lester, Esq.